​Phantom Quartz Crystal is considered a Master Crystal because of it’s unique ability to represent the separate and unique lifetimes of the one quartz crystal, it’s regressive properties and the ability of life after death. 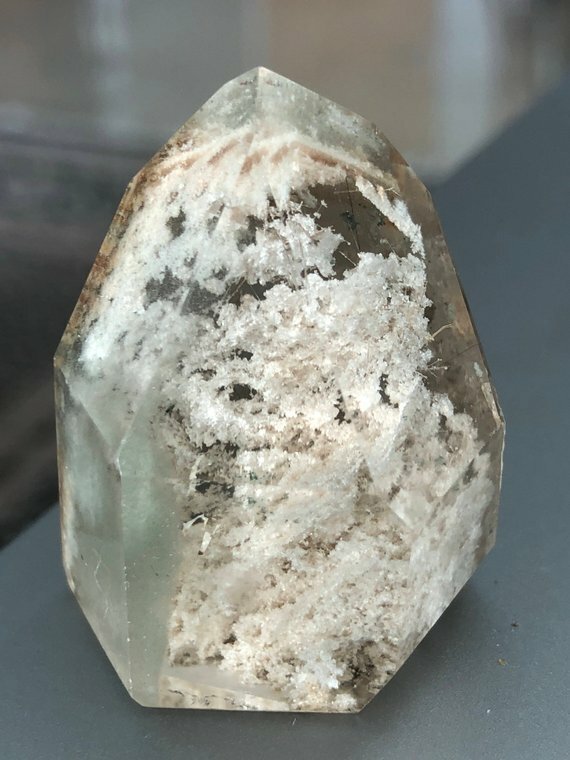 Ghost Phantom Quartz or Lodolite, is clear quartz (rock crystal) embedded with the formations of moss or another entirely different mineral composition trapped and enclosed within the main crystalline structure. While the crystal is forming, there is a lull in the growth process. This lull could be many years, or decades depending upon the circumstances and conditions within the cave formation. During this lull, another mineral or element is introduced into the SiO2 feed, or mother solution allowing the secondary substance to attach itself to the original crystalline structure. The quartz crystal, now holds the the additional element while maintaining its original integrity. Phantom quartz supports recovery from the habitual use of drugs, alcohol or any other over used substance. 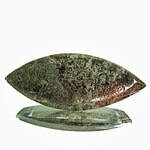 A stone of purification, it is also helpful during a physical cleanse for overall health. Phantom quartz helps you gain clarity on repetitive emotional patterns throughout the various stages of your life. It is helpful for uncovering the cyclical nature of how you engage in relationships so you can break recurring themes and move forward in a healthy way. This is a stone for transformation and change. It helps release the ego's attachment to behaviours and situations. 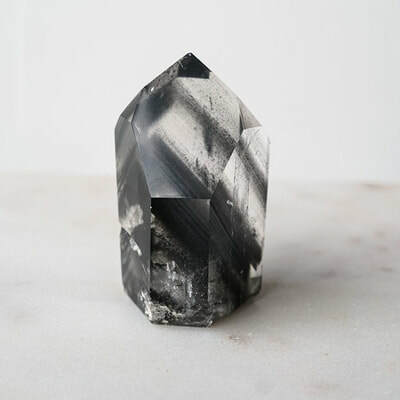 For those nostalgic individuals who often find themselves too focused on the past to concentrate on the future, seek the guidance of phantom quartz. As it works to shift your mind through lending clarity, it will also take you out of negative mental patterns, like thinking too much about the past rather than about the present or future. In addition to cleansing you of negative thought patterns, this is a great stone to use if there are any patterns in life that you need to break and reform in a healthier way. A phantom crystal is beneficial for grounding your energy when you begin to think that you are a more advanced being than others, without squashing your self esteem and positive energy. This stone helps you look deeper and keeps you in touch with the awareness that there is much more to know and learn. With this awareness, this stone can then activate your courage to proceed to your next level. Phantom Quartz symbolises universal awareness. It's purpose is to stimulate the healing abilities of people. It enhances meditation. This stone will help you read past lives and recover repressed memories so that you can put the past behind you. Symbolising the many lifetimes of the soul, a phantom quartz facilitates broader spiritual awareness and assists with transitions. Taking you travelling through multi or inner dimensions, it strips away the layers to reveal your spiritual core. Phantom quartz assists in accessing the Akashic Record, recovering repressed memories and re-framing or renegotiating past contracts, facilitating visits to the between lives state to discover your current soul plan and to release outdated soul imperatives. Smoothing transitions of all kinds, it shows what your next step could be. Phantom quartz reconciles your shadow and reveals the gifts it holds. This stone activates healing ability and facilitates healing the physical body through amendments to the etheric blueprint. It stimulates healing for the planet, realigning detrimental landscape patterns. Other quartz minerals can grow on the clear quartz to create a phantom, this is where a mother solution is laid down and then during the rest period; for example an amethyst or smoky quartz layer is formed; and then the mother solution encases that and continues to grow. Increases the healing abilities of healers and is a good stone for meditation and reiki. This stone helps you to recover forgotten memories of the past. 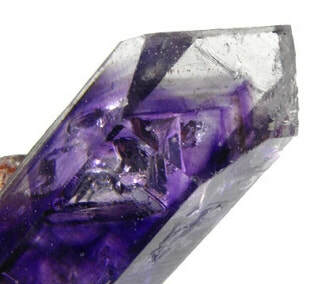 If you constantly find yourself looking for the reason that something is happening, it may be time to consult the clarifying wisdom of an amethyst phantom. The amethyst works to cleanse and lend clarity to the intuition of your third eye chakra. Stop stressing over confusion in life, and tune into this point’s energy to relieve that anxiety and gain deeper understanding. For all those looking to soothe their soul and set their insights straight, this amethyst quartz phantom point is the perfect two-in-one stone to do it. During the period of time a phantom quartz has stopped growing instead of dust being laid down, a layer of carbon or manganese mineral is laid down instead. When the growth starts again the mother solution reforms completely around the the original quartz crystal and the new layer. Black phantom quartz aids in strengthening the physical body, especially the muscular and skeletal systems. It can be used to counter osteoporosis, fragile bones and weakened muscles. These stones can assist in strengthening the heart and lungs and supporting the nervous system and myelin neural sheaths. It can assist you in overcoming limiting self-talk and fear of owning or using your personal power. Its energy can assist in setting clear boundaries about what you will and will not accept in your life and experience, particularly when those boundaries are necessary for healing and clearing negative power use in relationships. The frequency of these allies helps you find new determination to carry on through difficult circumstances and can strengthen your resolve to move through obstacles. Black phantom quartz crystals can be used to help draw high-frequency energy into the physical and energetic systems. Their energies strengthen the aura, help repair auric leaks and remove cords and arrows that may be attached to the auric field. A layer of chlorite is deposited on the crystal’s termination, followed by further growth of the crystal. 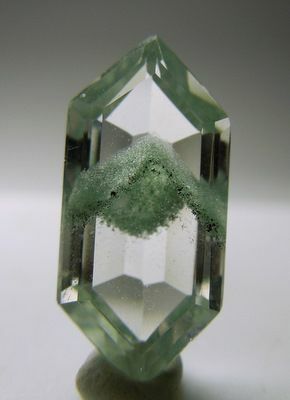 The result will be a greenish internal phantom which reveals the location and shape of the quartz crystal’s termination before the chlorite deposit and later growth. 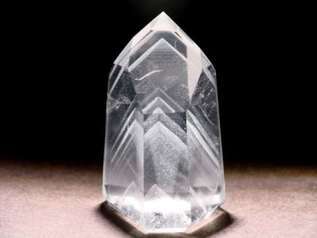 Chlorite Phantom Crystals are excellent for psychic surgery. 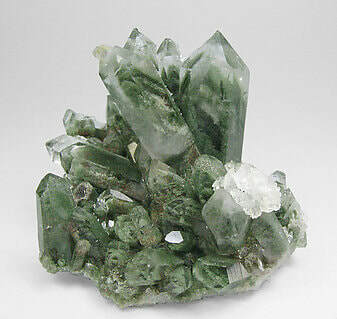 Because of their crystalline form, they can easily channel Chlorite energy directly into specific locations in the body. This is helpful when one is working on healing a specific area, particularly when healing tumours, polyps and other growths. They help protect the body from harmful radiation and can be useful in stabilising the energy field and physical body during radiation therapy. 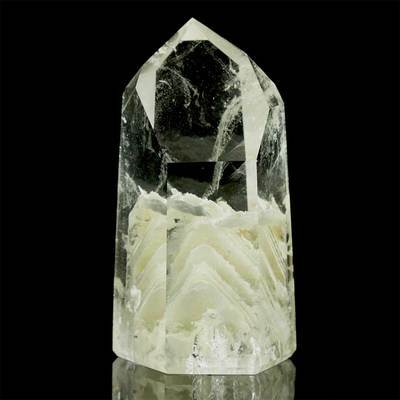 Chlorite Phantoms lend an energy of general hopefulness and optimism to the emotional body. 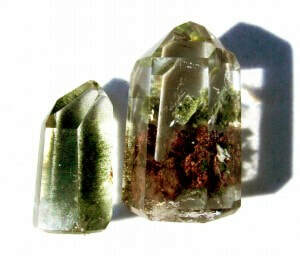 Chlorite Phantom Crystals channel high-frequency soul energy into the physical and energetic systems. They can aid in connecting with one’s healing guides. They assist those who are uncomfortable receiving healing or energy from others to be more receptive. ​Red phantom quartz is quartz that is coated in hematite, limonite or kaolinite, it shows a clear red phantom outline within the crystal. It is extremely rare. 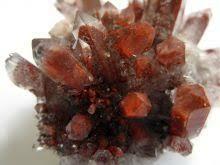 Red phantom quartz helps provide you with inspiration and helps to recover repressed memories. Red Phantom Quartz in particular is said to help release past anger and resentment and help heal past trauma. This stone is considered a wonderful crystal for meditation and it awakens the lower chakras. White phantom quartz has its layers interspersed with layers of white chloride. In facilitating the release of past-life karmic influences, White Phantom Quartz can assist in healing physical problems brought on by the ‘echoes’ of these past patterns. White Phantom Quartz can reveal patterns of emotional fixation from previous incarnations that currently affect one’s relationships and emotional well-being. In clearing such patterns, new wellsprings of freedom and emotional energy can come forth. Through access to the Akashic records and one’s soul history, White Phantom Quartz reveals past patterns which have either held back or facilitated one’s spiritual evolution. It can reveal possibilities for choices that will accelerate inner progress in this life. ​Balances earth chi an heavenly chi and the entire hara line; opens the galactic body chakras beyond the trans-personal point; expands awareness into the body of light, mind grid, and planetary grid; opens the aura to the positive aid of other planetary healers, spirit guides, angels, goddesses, and light beings; balances energy flows through all the kundalini line, hara line and all the chakras; expands the auras ability to hold light, information, and energy. Lodolite, Lodalite, Ghost Quartz or Garden Quartz is a trade name for Inclusion Quartz. The inclusions can include Hematite, Feldspar, Chlorite and many other minerals that are green, cream, red, orange, and other colours. Looking into one, you get the sense of looking onto a garden landscape or a coral reef. Lodolite assists emotional healing by releasing past-life trauma or early childhood memories that may have caused fear or stress. This stone heals and releases emotional past life attachments. It encourages you to get in touch with all your emotions wether good or bad and then release the ones that are no longer needed in this time and place. 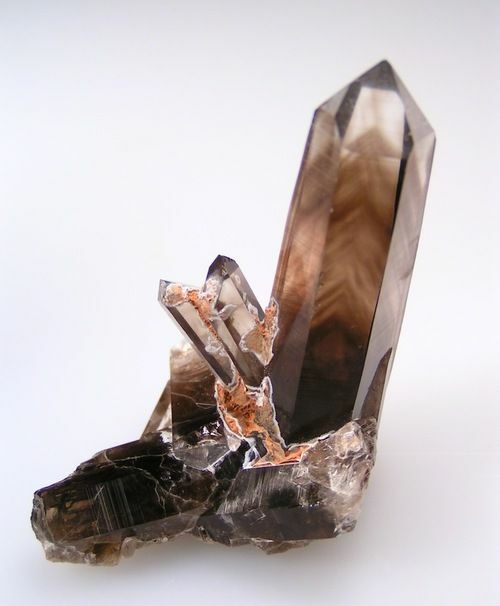 ​Lodolite will protect you from negative energy while maintaining your connection to the physical and etheric planes. This stone encourages you to investigate new ideas and new ways of understanding your old ways of doing things. It aids you in understanding and accepting the times of transformation that you go through. 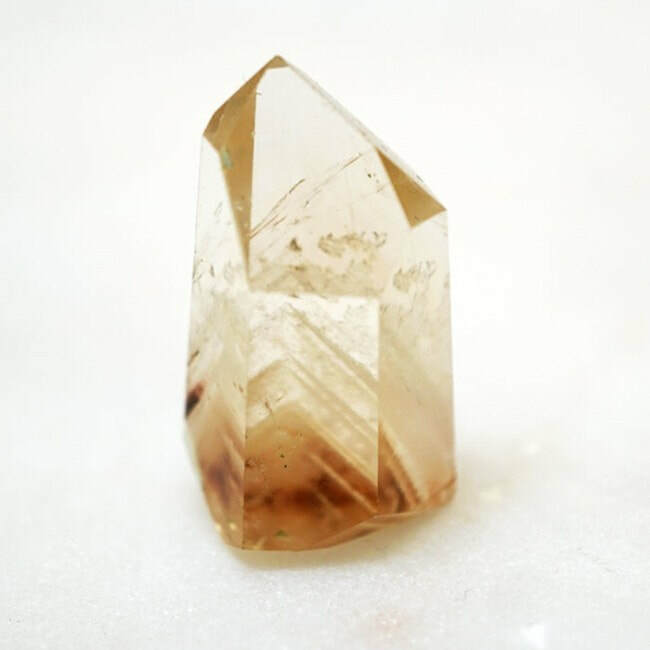 Lodolite assists in understanding the impermanence of body consciousness, nature ensures that your body changes over time and this stone will help you embrace and accept the changes. 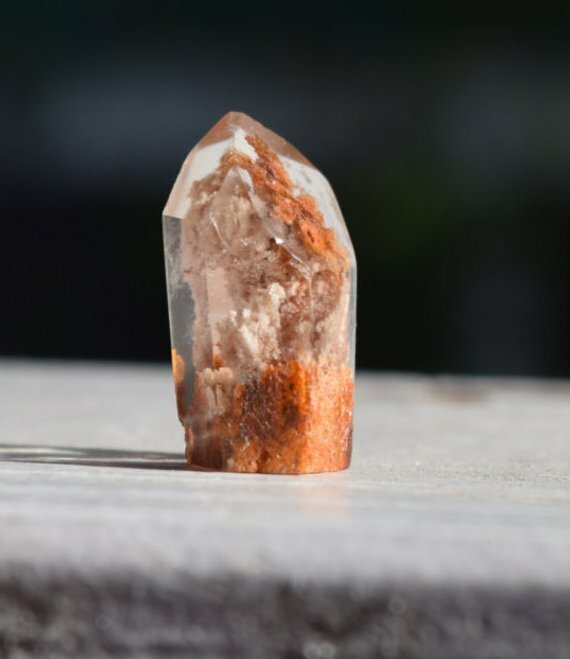 Meditating with lodolite will help you manifest your desires and bring you knowledge of your past lives. This stone is a great assistant to help you with getting into the meditative state​.